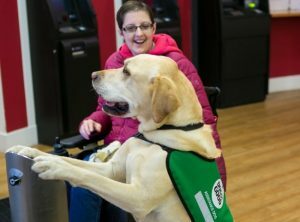 Assistance dogs provide disabled people with the support and confidence to live an independent life, and are allowed unlimited access to all services. When travelling in private hire cars they are effectively passengers too. Assistance dogs must be seated with their owners at all times. 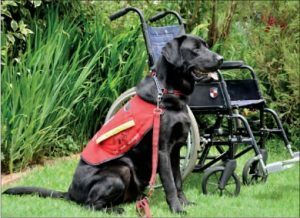 What different types of assistance dogs are there? 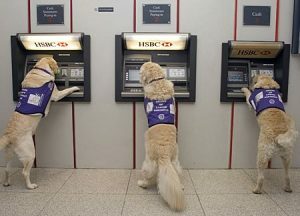 There are a number of different types of assistance dogs recognised in the UK. 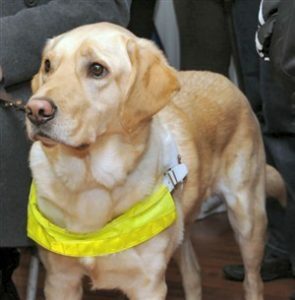 Guide dogs are for young people and adults who are build or partially sighted. They wear white harnesses with yellow fluorescent stripes. 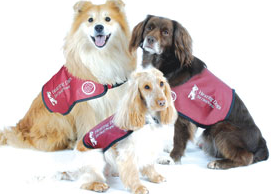 Hearing dogs are for adults and children with hearing impairments. They wear burgundy jackets. Dog AID dogs are for physically disabled adults.They wear red jackets. 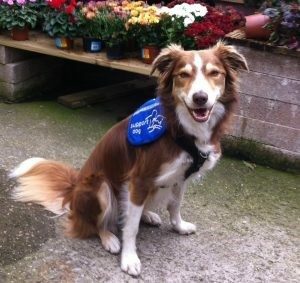 Cannine Partners assitance dogs are for physically disabled adults. They wear purple jackets. Dogs for Good assistance dogs are for people with physical disabilities or children with autism. They wear green jackets. Assistance dogs for physically disabled adults, seizure alert dogs for people with epilepsy and autism assistance dogs for children with autism. They wear blue jackets. 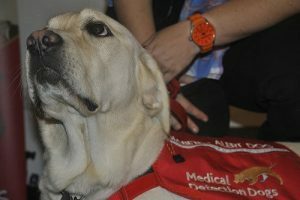 Medical detection dogs are for adults and children with complex health conditions. They wear red jackets.